Lech Zürs am Arlberg offers you uniquely enjoyable skiing with a total of 88 cable cars and lifts, 306km of pistes and 200 km of high Alpine deep powder snow runs. 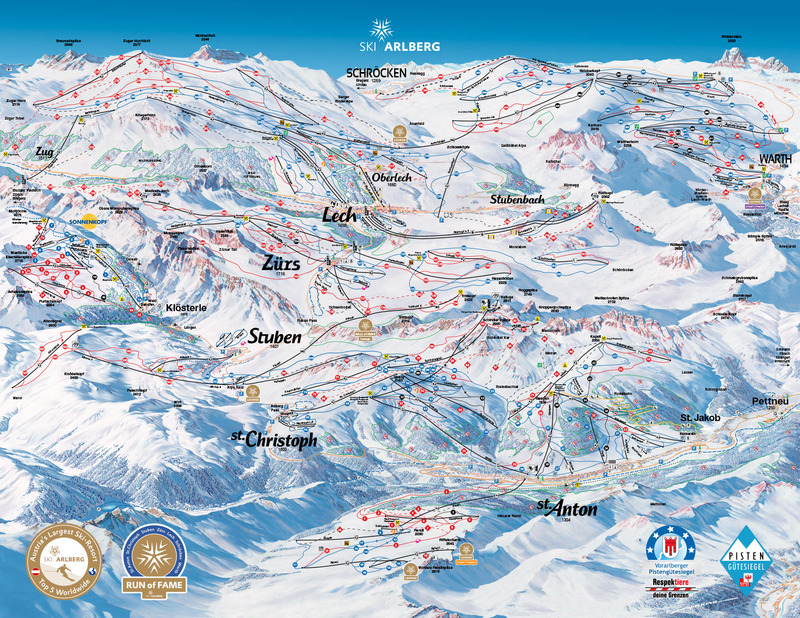 It is famous for "The White Ring", a unique ski circuit in the Alps between Lech, Zürs, Zug and Oberlech. For winter sports enthusiasts the White Ring presents a sporting challenge with about 22 km of skiing pistes, 5.500 m of difference altitude and an exciting sightseeing tour with viewing platforms, race tracks, speed check path and a VIP Lounge.